This meal is especially popular to students who want a budget-meal during break times. 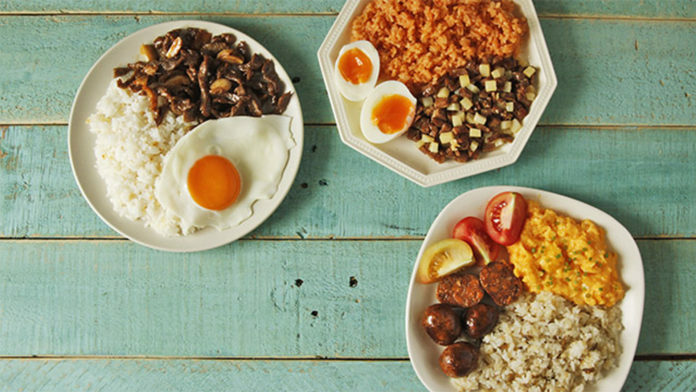 Silog is actually a meal of sinangag and itlog with different combinations such as tapsilog for tapa, hotsilog for hotdog, bangsilog for bangus, spamsilog for spam and many more! You have a lot of choices that can satisfy your hunger for 45-55 pesos only.